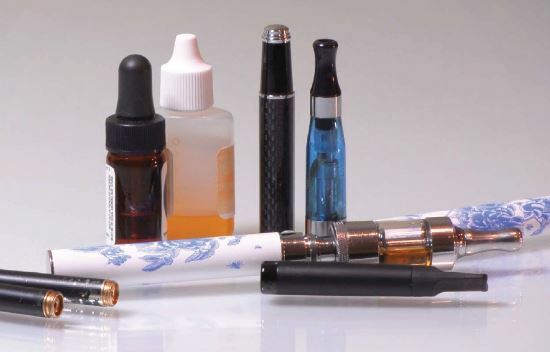 WASHINGTON (CN) – Warning that e-cigarettes use by minors has reached “epidemic proportions,” the FDA imposed fines Wednesday and sent warning letters to 1,300 retailers that sell vaping devices. The penalties follow a summer-long “undercover blitz” of both traditional and online stores in what the Food and Drug Administration called “the largest coordinated enforcement effort” in its history. Nearly 40 percent of the actions were filed against businesses in the five states with the most offenders: Florida, Illinois, Washington, Tennessee and Michigan. The vast majority of businesses received only warnings from the FDA, while 131 faced civil fines, according to the FDA’s data. The agency also delivered letters to the five largest e-cigarette brands, asking the companies to tell the FDA within 60 days how they plan to curb youth access to their products. FDA officials report that more than 2 million students in middle and high school used e-cigarettes in 2017, making the devices the most common way young people use tobacco. Gottlieb said if the five e-cigarette manufacturers that received FDA letters do not come up with plans to address youth use of their products, the agency might “reconsider” its decision to delay the date at which e-cigarettes will need agency approval to remain on the market. The FDA’s announcement came a day after an industry group and e-cigarette company urged the D.C. Circuit at oral arguments to overturn the FDA’s decision to regulate e-cigarettes and traditional tobacco products similarly. This decision put restrictions on how vape companies can advertise, prevented them from handing out free samples and eventually will require products to clear an FDA review in order to stay on the market.